1. Demonstrate the ability to identify in selected texts the controlling idea/thesis, supporting evidence, targeted audience and purpose, and the argumentative and/or literary elements of the piece. 2. Write academic texts that demonstrate evidence of the writing process (i.e., planning, drafting, revising, editing, and proofreading). 3. Write developed academic texts that support a controlling idea/thesis with appropriate evidence and research. 4. Write organized academic texts with a controlling idea/thesis for a specific audience and purpose. 5. Write academic texts that demonstrate appropriate style (i.e., sentence construction, word choice, and tone). 6. 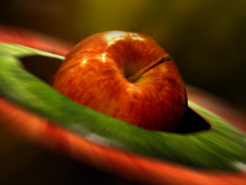 Write academic texts that demonstrate the use of Standard American English. 7. Demonstrate the ability to locate, evaluate, summarize, and synthesize source material, including appropriate use of electronic sources, into texts in MLA style. **Note: Students must hand in ALL written assignments and complete the final creative project in order to pass this class. Even if you have enough points without an essay, you will not pass unless all work is completed. This is a college course—you will have homework and assignments, and you are expected to complete them. Work outside of class, deadlines, and group projects should be expected in a college-level course! STUDENTS ARE NOT ALLOWED TO RECORD THIS CLASS-- AUDIO OR VISUAL. F 18: Ch. 1- What is an Argument & How do we organize one? M 04: Response Paper 2 Due; Continue from Friday (Homework: Read "A Clean, Well-Lighted Place" and "A Hunger Artist" (Quiz); Theme Essay Assignments! F 03: Film Screening—All Films Due This Day! Attendance Policy: Students should attend all classes. Missing more than 3 class periods is considered excessive, and absences will compromise your grade in this course. If a student must be absent for a legitimate reason, he or she must contact the instructor in a timely manner via email. It is up to the student to keep up with all assigned work and readings in the event of an absence. Do NOT show up to class without an assignment with the excuse “I was absent”; everything you need to complete the assignment will be available on the class website. Do NOT miss class because you did not complete an assignment that is due. You will find my policy for late work below. Incentive: Students who miss 1 or 0 classes will be allowed to bring a note card to the final exam. In addition, you are asked to sign the classroom pledge on the first day of class. Part of the pledge is committing to attending this class. Please understand that excessive absences (more than 3 per semester) will affect your grade negatively. This class ONLY meets 3 times a week for 50 minutes at a time; it is not unreasonable to expect you to attend EVERY class. We have to meet a minimum "contact hours" for our course accreditation. This means that to receive credit for a class, the class has to meet a certain number of hours. If you signed up for this class, then that means you have agreed to attend when the class meets. Late Work Policy: An assignment that is turned in one class period late will be deducted 5 points; 2 class periods late will be deducted 10 points; 1 week late 15 points. More than 1 week late: The paper will receive a failing grade, but it still must be turned in, in order to complete the course requirements. I reserve the right to alter this policy for an individual assignment or on an individual basis (for example, if you have a medical emergency and have a doctor’s note, your grade may not receive the same deduction). Do NOT miss class because your paper is incomplete. Do NOT wait until the morning an assignment is due to print it here at NCTC—THE COMPUTERS AND PRINTERS ARE FREQUENTLY DOWN. PLAN FOR THIS. Complete your work in advance—all assignments are available on the class website. If you have trouble with an assignment, contact me on the first day it is given; do not wait until the last minute. I am always available to help students with papers via email! If you are stuck, I can usually help. The Writing Center and Grade Results are great planning and revision tools; USE THEM. NOTES: Peer Editing and Rough Drafts are NOT OPTIONAL. The course requirements are that you write 20 pages for this class, and the drafts are included in that total. 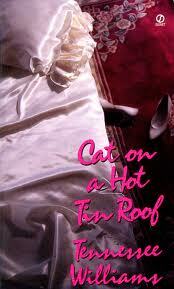 You are expected to have your rough drafts for me to look at—this is a very important part of the writing process. Each time you are given a written assignment, set aside at least ONE HOUR PER PAGE to work on it. If you have a 2 page paper, expect to need 2 hours to work on it, etc. Do not skip class due to an incomplete draft; do not come to class empty handed. You are here to earn a degree, and this requires both work and effort. Students must turn in ALL assignments in order to pass the class. ** EXTRA CREDIT can be earned several ways. 1. Participate on the facebook group page. Your responses could be worth extra credit. 2. Dazzle me with your presentations and skits. The best ones could earn extra credit. 3. Show up every day. Attendance could earn your extra credit. 4. Turn in all outlines and drafts. They could be worth extra credit. 5. Speak up in class… come prepared. Exhibit professionalism. You never know what might impress me enough to award extra credit. ** Giving extra credit is at my discretion. I will award it only when I think a student is worthy. No “extra work” will be given… do the work assigned to you, follow the directions, and you shouldn’t need to rely on “extra” credit! The North Central Texas College (NCTC) Course Syllabus provides the following as required by the Texas Higher Education Coordinating Board (THECB): (1) a brief description of the course including each major course requirement, assignment and examination; (2) the learning objectives for the course; (3) a general description of the subject matter of each lecture or discussion; and (4) any required or recommended readings. Contact information for the instructor is also provided. The Course Syllabus also provides institutional information to indicate how this course supports NCTC’s purpose and mission. Information specific to a particular section of the course will be included in the Class Syllabus and distributed to enrolled students. Continuation of ENGL1301. Advanced techniques of expository and persuasive writing; critical thinking and textual analysis; essays and research methods. 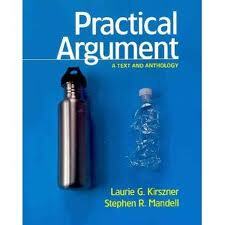 Practical Argument, Kirszner, Bedford, 2011. 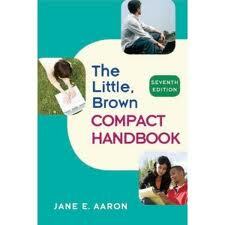 Little Brown Comp Handbook, Aaron, PH, 7th Ed. You’ll need access to a computer for this course. x A quality general education curriculum in all associate degree programs. o Quality freshman and sophomore level courses in arts and sciences which parallel the lower division offerings of four-year colleges and universities. o Quality technical programs leading directly to careers in semi-skilled and skilled occupations, and quality technical education programs up to two years in length leading to certificates and associate degrees. o Quality programs and services in support of adult literacy and basic skills development as a mean of workforce enhancement and expanding access to higher education. NCTC seeks to implement its goal of offering quality general education curriculum in all associate degrees by offering a core of general education courses designed to help students achieve academic, career and lifelong goals. Acquiring knowledge, thinking critically, and utilizing the methodologies of various disciplines exposed students to experiences that serve to advance their personal growth. The chief focus of the General Education Core Curriculum at NCTC is to emphasize Exemplary Educational Objectives and Basic Intellectual Competencies. The Department of English, Speech, and Foreign Language provides quality instruction to students pursuing their academic and career goals. NCTC seeks to implement its goal of offering a core of general education courses designed to help students achieve academic, career and lifelong goals. The chief focus of the General Education Core Courses at NCTC is to emphasize basic intellectual competencies and broad intellectual perspectives. The overall objective of the Communication component area is to enable the student to communicate effectively in clear and correct prose in a style appropriate to the subject, occasion, and audience. invention, organization, drafting, revision, editing and presentation. and technical proficiency in the development of exposition and argument. Demonstrate the ability to identify in selected texts the controlling idea/thesis, supporting evidence, targeted audience and purpose, and the argumentative and/or literary elements of the piece. Write academic texts that demonstrate evidence of the writing process (i.e., planning, drafting, revising, editing, and proofreading). Write developed academic texts that support a controlling idea/thesis with appropriate evidence and research. Write organized academic texts with a controlling idea/thesis for a specific audience and purpose. Write academic texts that demonstrate appropriate style (i.e., sentence construction, word choice, and tone). Demonstrate the ability to locate, evaluate, summarize, and synthesize source material, including appropriate use of electronic sources, into texts in MLA style. Students will learn how to fine tune aspects of grammar. Students will explore chapters of their textbook; we’ll focus on a different topic each week. Students will be given outside readings that correlate with the weekly chapter readings. **See course calendar for further details. x READING – Reading at the college level means the ability to analyze and interpret a variety of printed materials – books, articles and documents. A core curriculum should offer student the opportunity to master both general methods of analyzing printed materials and specific methods for analyzing the subject matter of individual disciplines. x WRITING – Competency in writing is the ability to produce clear, correct, and coherent prose adapted to purpose, occasion, and audience. Although correct grammar, spelling, and punctuation are each a sine qua non in any composition, they do not automatically ensure that the composition itself makes sense or that the writer has much of anything to say. Students need to be familiar with the writing process including how to discover a topic and how to develop and organize it, how to phrase it effectively for their audience. These abilities can be acquired only through practice and reflection. o SPEAKING – Competence in speaking is the ability to communicate orally in clear, coherent, and persuasive language appropriate to purpose, occasion, and audience. Developing this competency includes acquiring poise and developing control of the language through experience in making presentations to small groups, to large groups, and through the media. x LISTENING – Listening at the college level means the ability to analyze and interpret various forms of spoken communication. x CRITICAL THINKING – Critical thinking embraces methods for applying both qualitative and quantitative skills analytically and creatively to subject matter in order to evaluate arguments and to construct alternative strategies. Problem solving is one of the applications of critical thinking, used to address an identified task. o COMPUTER LITERACY – Computer literacy at the college level means the ability to use computer-based technology in communicating, solving problems, and acquiring information. Core-educated students should have an understanding of the limits, problems, and possibilities associated with the use of technology, and should have the tools necessary to evaluate and learn new technologies as they become available. For the Spring 2011 semester, the last day to withdraw from a course with a “W” is April 22, 2010. NCTC Board policy FLB (Local) Student Rights and Responsibilities states that each student shall be charged with notice and knowledge of the contents and provisions of the rules and regulations concerning student conduct. These rules and regulations are published in the Student Handbook published in conjunction with the College Catalog. All students shall obey the law, show respect for properly constituted authority, and observe correct standards of conduct. Scholastic dishonesty shall constitute a violation of college rules and regulations and is punishable as prescribed by Board policies. Scholastic dishonesty shall include, but not be limited to cheating on a test, plagiarism, and collusion. North Central Texas College is committed to both the spirit and letter of federal equal opportunity legislation, including the Americans with Disabilities Act (ADA) and section 504 of the Rehabilitation Act of 1973. NCTC is required by law to provide "reasonable accommodations" to students with disabilities, so as not to discriminate on the basis of that disability. It is the student’s responsibility to provide disability documentation to the ACCESS Office which authorizes accommodations for students with disabilities. The ACCESS Office is located in room 170 on the Corinth Campus and room 110 of the Administration (100) Building on the Gainesville Campus. Students can also call 940-668-7731 ext. 4321 or 940-498-6207. The Student Success Center is designed to help all students at NCTC develop tools to achieve their academic goals. The center links students to FREE tutoring, including a Writing Center, a Math Lab, and free online tutoring in the evening. The program helps students acclimate to college by providing students free interactive workshops about Time Management, Study Skills, Test Anxiety, and much more. For more information, please visit your nearest Student Success Center. The Financial Aid Office is responsible for administering a variety of programs for students who need assistance in financing their education. The first step for financial aid is to complete a FAFSA. For more information, please visit your nearest Financial Aid Office. A Excellence at a level to be expected of first-semester college freshmen but lacking the polish of an “A+” paper; Original and interesting treatment of topic (development of your own idea not just a summary of the problem or text to be discussed); specifics (dialogue, description, detailed examples, reasons) supporting all general statements; balanced introduction and conclusion; transitions between sections and paragraphs; varied sentence patterns; appropriate word choice; no problems with grammar, mechanics, or usage. B Some originality of thought; some voice; adequate control of organization; support of generalizations by details, but by fewer or less appropriate details than in an “A” paper; perhaps a few cliches; perhaps some problems in grammar, mechanics, or usage, but not problems which distract from meaning. C Some structure, but superficial content; unsupported generalizations common; or some good content, but disorganized arrangement of ideas; connection between thesis and specific examples not fully elaborated; some distracting problems with grammar, mechanics or usage; wordy or choppy sentences. Many students find that they need to work hard to achieve a “C” paper. “C” is an honorable grade if it is your best work. D Some sense of opening and closure, but lacking in real organization; ideas disconnected; many distracting problems with word order, grammar, mechanics, or usage. Research papers with incorrect MLA citation formatting will likely fall under this category. F Assignment not done or short and undeveloped; ideas disorganized; serious errors in word order, grammar, mechanics, and usage. Uncited research papers and papers that fall short of the length requirement will fall under this category.